While everybody is busy firing up the grills for Labor Day weekend I thought I'd sneak in a quick recipe for a healthy side dish. 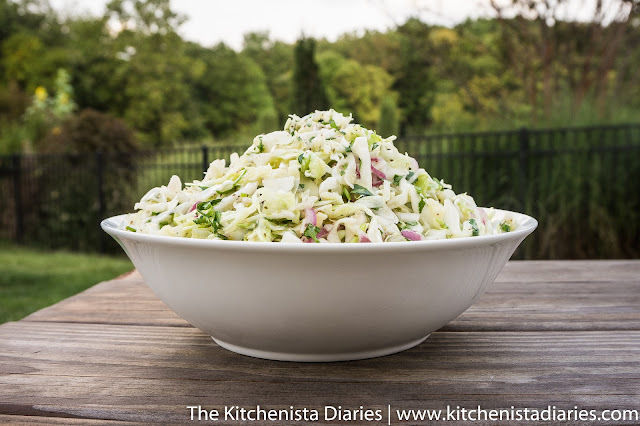 Cole slaw is often overlooked at cookouts and for good reason. Most versions are overly sweet, dressed with heavy mayonnaise based sauces or carelessly thrown together with prepackaged ingredients. A bad slaw is right up there with garden salad and store bought vegetable platters: forgettable party staples that are not much more than table fillers. But a good slaw is worth adding to your menu, and so easy to make that there's no reason you shouldn't. A good slaw is light and crunchy with a sauce that's tangy enough to cut through the richness of grilled and smoked meats. It plays nicely in the background to pulled pork sliders or fish tacos, but it's tasty enough to round out your plate as a side dish all by itself. And as for my personal preference, I'd rather leave the mayo-based dressings to potato and pasta salads. My favorite slaws are made with citrusy vinaigrettes. This green cabbage slaw is one of those dishes you'll find over time doesn't actually require a recipe at all, or measurements for that matter. In general, one part vinegar to two parts oil makes a fine vinaigrette when whisked together with a dollop of dijon mustard to hold the emulsification together. Let your taste buds guide you to adjust for acidity, sweetness and salt. When I'm cooking for people on low-carb diets or for myself on Whole 30, I skip the sweeteners all together. Fresh cabbage will have the best flavor and texture, so stay away from the bagged stuff. (Cabbage is one of the cheapest vegetables you can find all year long. I regularly use half a head for slaw and save the other half to roast later in the week.) I wrote this version of the recipe as simple as possible. Make it as is or play around with your own variations. I often add shaved fennel or julienned green apples to the mix, and sometimes I switch up the herbs to incorporate basil or parsley. A pinch of cumin can give it more of a Mexican flavor while slivers of mango or finely diced pineapple turn it into a tropical dish. Shredded carrots are good if you like a traditional slaw. 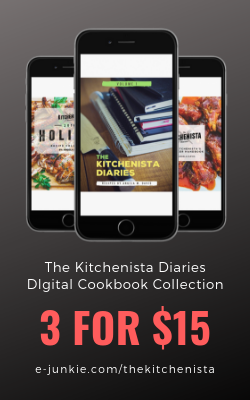 You can even experiment with infused oils and vinegars for a more subtle approach. 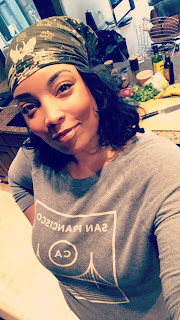 I'd recommend avoiding extra virgin olive oils as the flavor is too heavy, and coconut oil can harden unless you use one that is specifically made to remain liquid at cool temperatures. Other than that, this is pretty much a blank slate for you to make whatever you dream up! 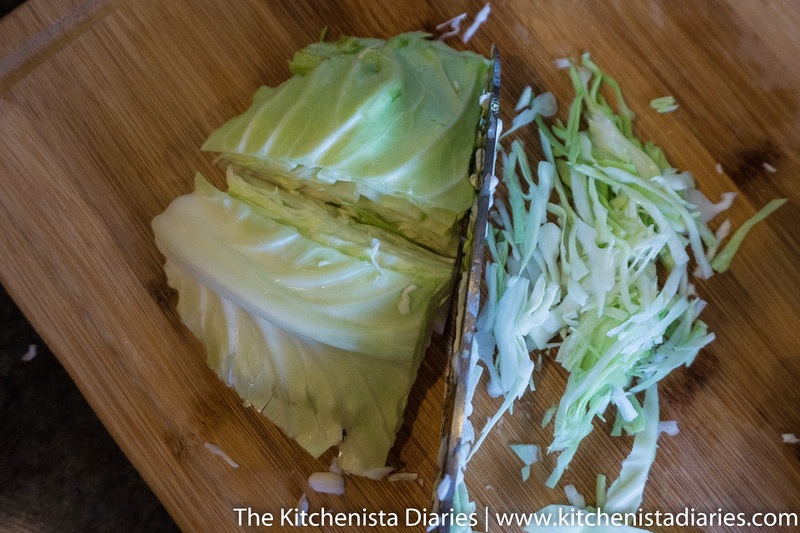 I usually remove a layer or two of the outer leaves from the cabbage. Besides being dirty they're loose and harder to shred with the rest of the cabbage. Begin your prep by cutting out the core. Or hold the cabbage and use your knife to shave it at an angle. When I'm making slaw for tacos I like to do it this way because it makes for a finer texture. 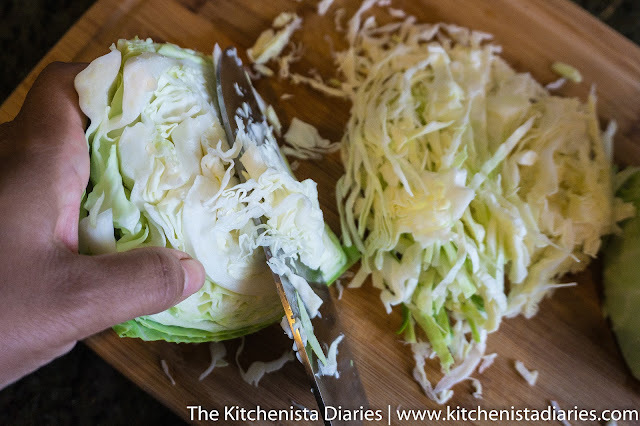 Whichever way you shred the cabbage, toss it all into a large bowl and season with plenty of salt. If you have the time, you can let this sit in a colander for an hour or so, then drain the liquid. 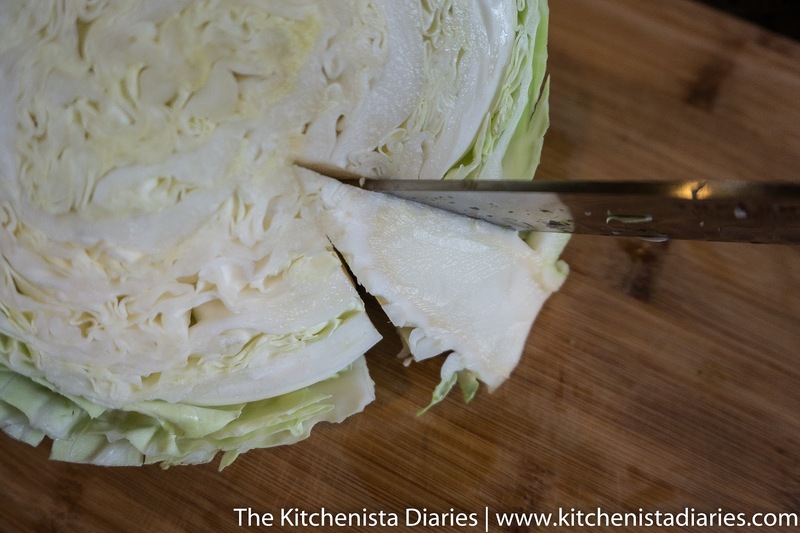 The salt will help draw out moisture from the cabbage leaving it crisper after it's dressed. If you plan to eat it right away instead, that's fine too. Next, slice up the onion as thin as you can. 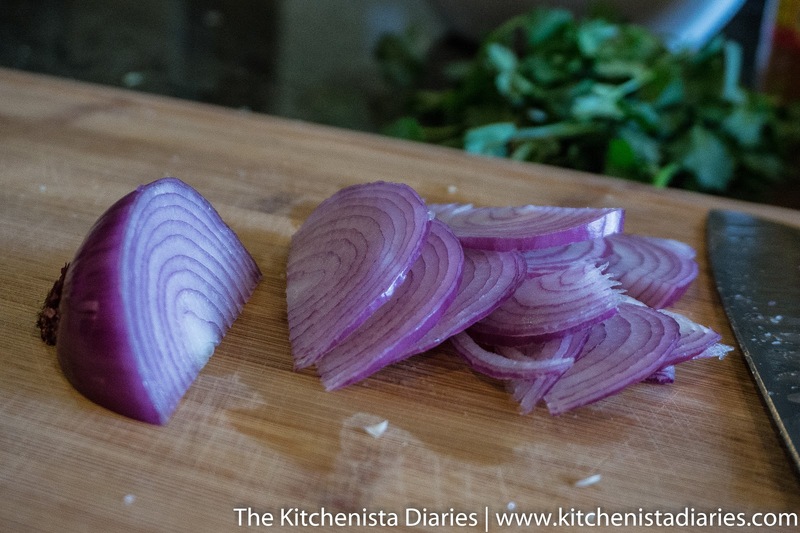 A mandoline can help with tasks like this if you aren't as comfortable with your chef's knife. 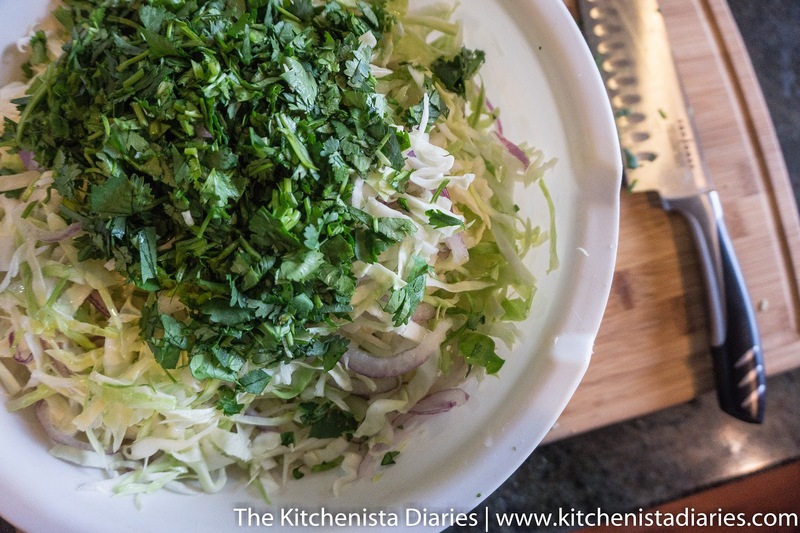 Roughly chop the cilantro and add it to the bowl with the onions and cabbage. You can also include any thin stems, they have a ton of flavor and will blend with the crunch of the cabbage. Finally, zest the lime right into the bowl being careful not to grate any of the white pith. 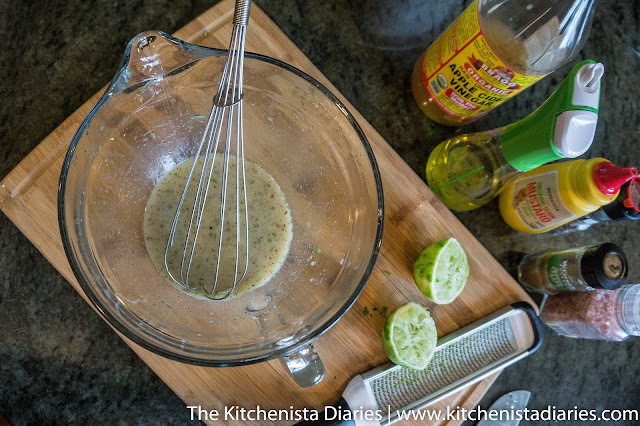 To prepare the vinaigrette, whisk together the dijon mustard, honey (if using), vinegar, lime juice and celery seeds with a pinch of salt and plenty of cracked pepper. While whisking, slowly pour in the oil. 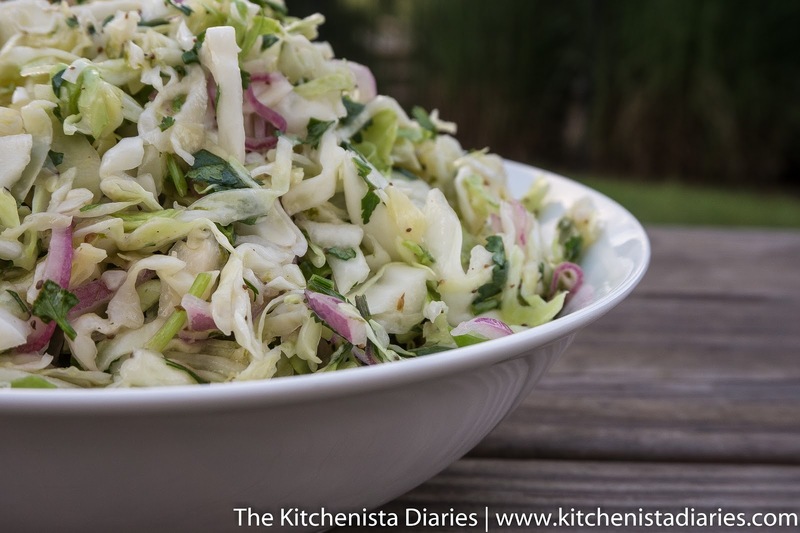 The celery seeds are the secret weapon that make this slaw pop, especially with barbecue dishes! 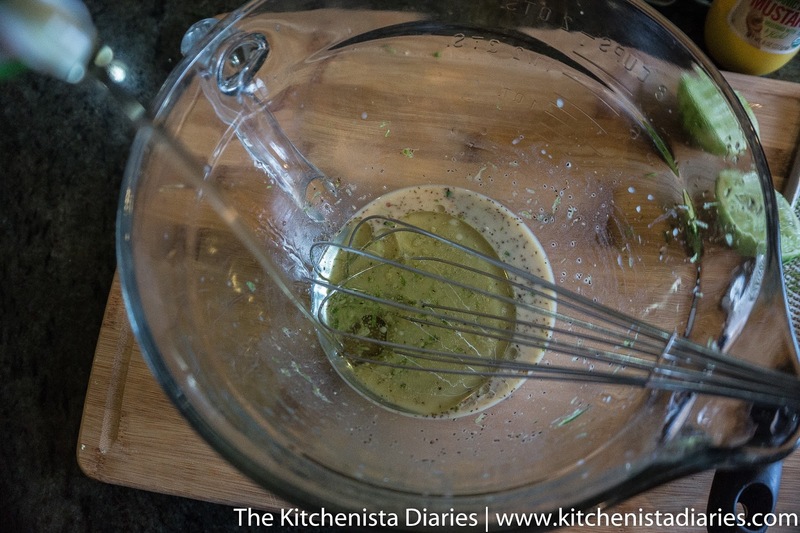 After whisking in the oil you should have an emulsified vinaigrette. Season to taste with salt and pepper if needed. Remember that the cabbage is already salted. You may also want to adjust the sweetness or acidity to taste. Some vinegars are stronger than others; likewise the oil you choose to use. 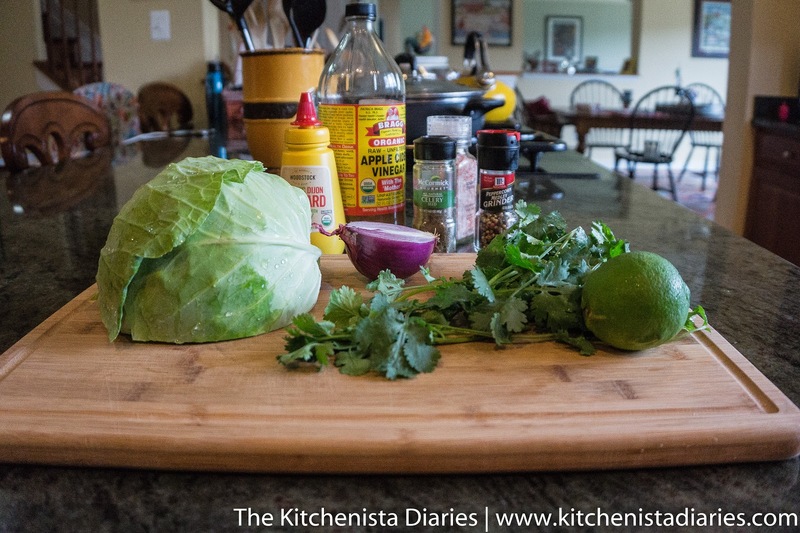 When the dressing is ready, pour it over the cabbage and toss to evenly coat. You don't need to drown the cabbage, so if you find yourself with extra vinaigrette on hand it keeps well in the fridge to use for salads. 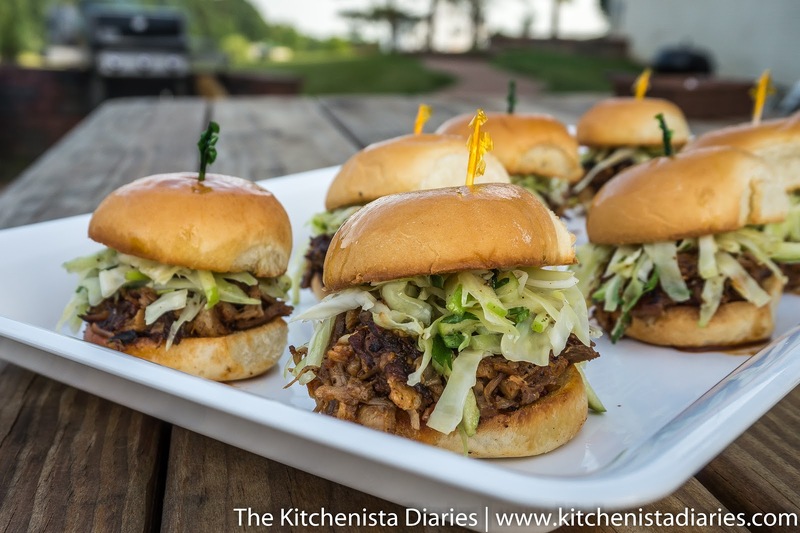 The flavors develop best if you let the slaw hang out in the fridge for at least thirty minutes before serving. I also check my seasonings one more time before serving. 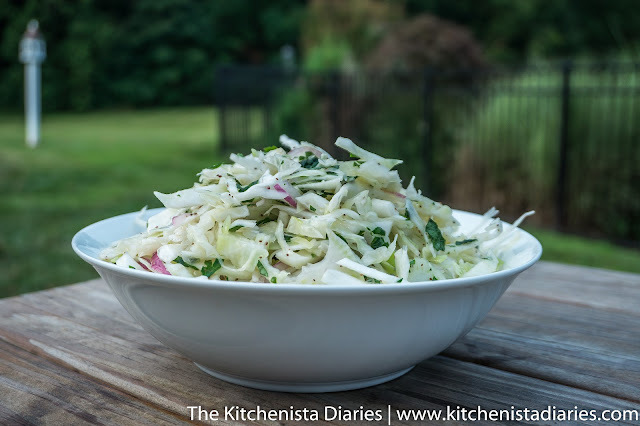 The slaw is best same day, but I've never really had any problems eating it with leftovers the next day when it's a bit wilted and essentially pickled. Hope you guys enjoy this one! 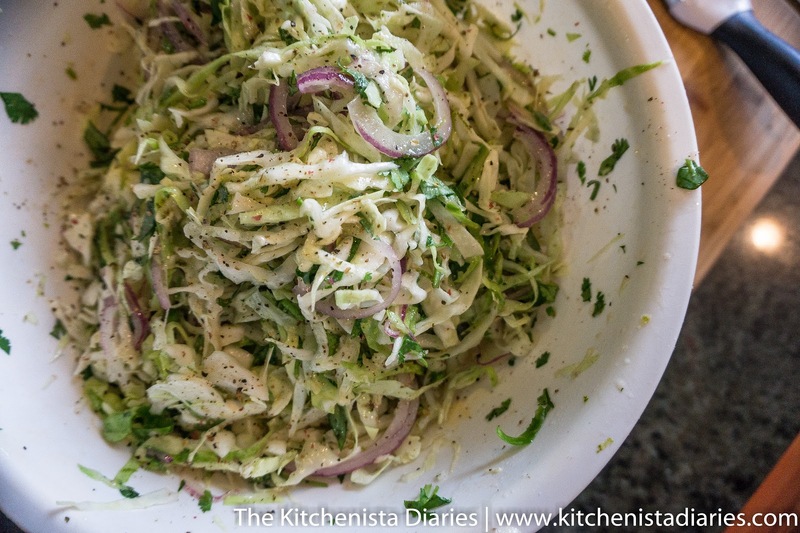 Green cabbage slaw is a staple for me and something that my family eats almost weekly at this point. Have fun experimenting with it, I'd love to hear how you put your own spin on this! My favorite version is below. I add shaved fennel and mint to the mix and trade lemon for the lime. It's great with salmon!